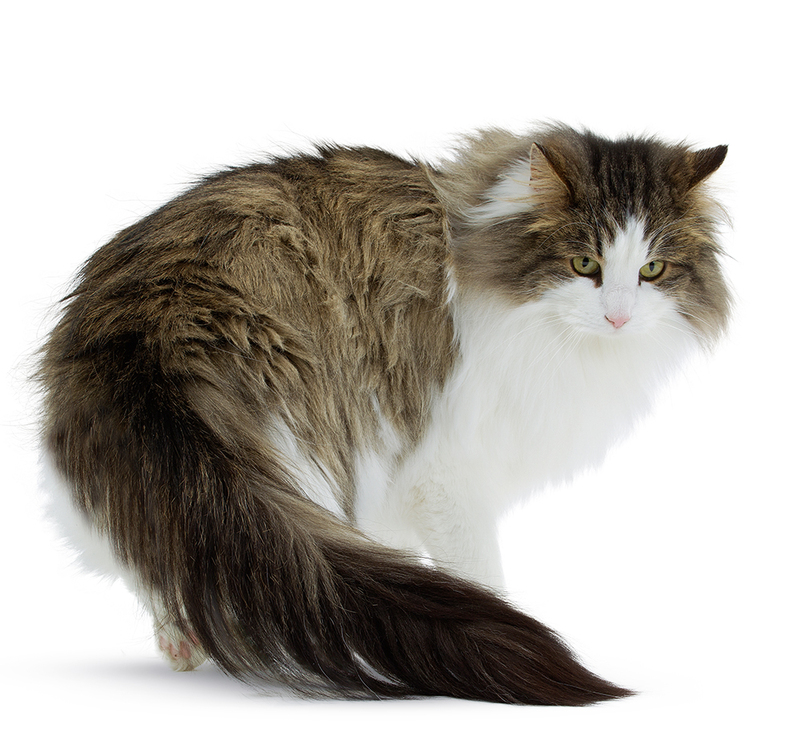 The Norwegian Forest Cat has an even temperament, is self-assured, friendly and easy-going. It is a laid back, calm cat, but can be very playful too. Cat owners often describe the breed as being reserved yet affectionate. A hardy, robust and athletic cat, the Norwegian Forest cat is incredibly supple, despite its larger size, and is a remarkably good climber. It is also one of the few breeds that often enjoys water. Did you know? It is claimed that the ancestors of this cat were the household pets of the Norwegian Vikings who took their cats with them on their ships as they sailed all over the world.